We went on a little German feast! First off we made Kaesespaetzle, which is spaetzle (a homemade noodle) with cheese and caramelized onions. Now we moved onto Easy Delicious Pork Schnitzel. German food for the most part is rich and wonderful. 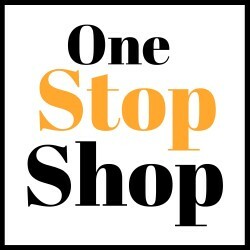 I was amazed at the price of boneless, small pork chops, they are so inexpensive. You can change this up to Weinerschnitzel and use veal but it will be much more pricey!! A quick pound out of the pork chops and they were ready to roll. The whole process really took no time at all. Your family will go nuts for these. Such a simple meal and very inexpensive. Being fried it is not something you want to be doing all the time but add in a gorgeous big salad and be conservative and you can enjoy this dinner! The birth place of schnitzel is Austria and many dishes overlap and are fused between the two countries of Germany and Austria. Other countries all influence their cuisine, such as France, Italy, Hungary and more. Crispy and delicious on the outside and tender and juicy on the inside. 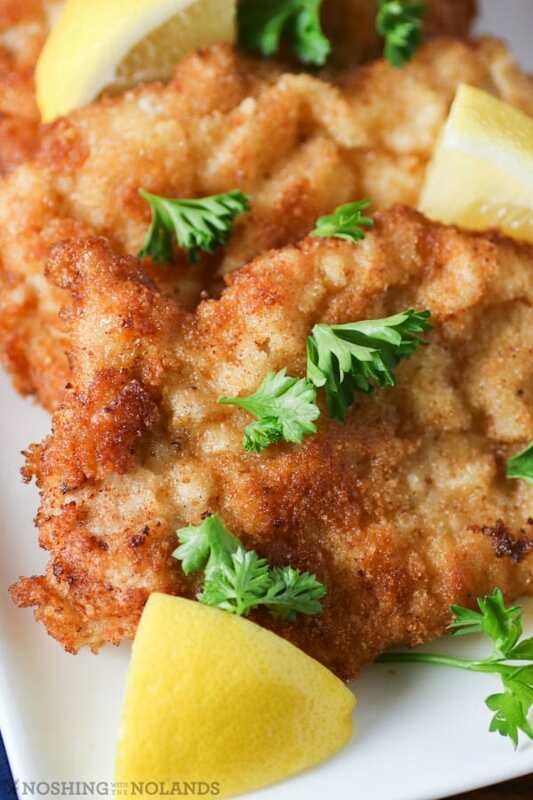 A fresh squeeze of lemon and parsley is all you need to give this schnitzel even more flavor! One thing I always suggest is when you take something out of hot oil, then you need to immediately salt again. This will give you the flavor you are looking for. Up close you can see how crispy and delightful this is. A real treat that you usually only find in a German restaurant but now you can easily make at home and your family will love you for it. 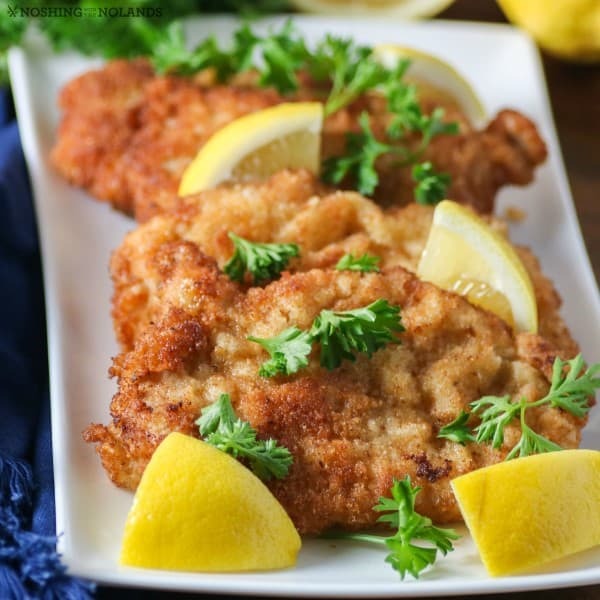 Even the pickiest of kids are going to love to dive into this schnitzel. 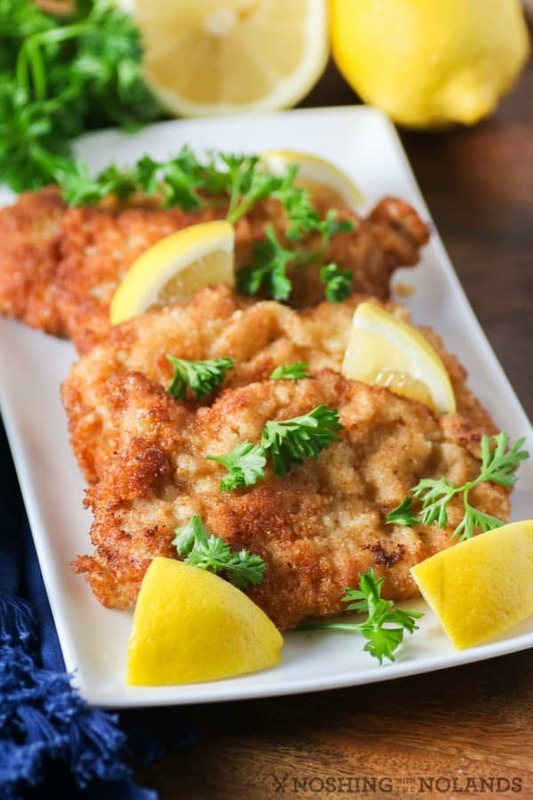 Easy Delicious Pork Schnitzel is inexpensive and a scrumptious meal that can make a weeknight meal feel special. With a meat mallet pound the pork chops between two pieces of wax paper until they are ¼" thick. Lightly season with salt and pepper on both sides. Prepare a large saute pan with a generous amount of oil, enough so that the schnitzel will float slightly. Heat to about 350-375F but not smoking. Meanwhile, place the flour, with 1 tsp. salt, the eggs and the bread crumbs into 3 bowls. Dip the pork into the flour, then the egg and then the bread crumbs and immediately fry. Do three at a time and then repeat. Turning to brown on both sides, about 3-4 min per side. Drain on a paper towel lined plate and salt. Serve immediately with lemon wedges and parsley. Thank you so much Cheryl, I hope you enjoy it!! That would be the Southern name for them for sure. Anyway you slice it they are delicious! You know, I have actually never had schnitzel before, I cannot wait to try this! It looks really good. I was looking for something different to make for dinner this weekend. I have not made schnitzel for a while. This looks so delicious I can not wait to try it. This looks like a perfect dinner! I would love to try this one soon! Yum! I am SO craving this right now! Your recipe reminds me of something my grandmother used to make us for Sunday supper. Sometimes she’d use pork and other times she’d use chicken (probably whatever was on sale that week!). I love that you served it with lemon wedges and parsley, what a great way to liven it up! My husband requested that I make this. I was not even sure where to start but this is awesome. It is very easy Amy, just follow the instructions and you will have success! This looks really good. I have to say that I haven’t heard of this before. I can’t wait to try it though. I do love pork. This looks amazing! You could even turn this o to a sandwich. Oh my, I’ve never heard of this type of pork recipe, but this looks AMAZING!!! Now I want to have my husband make this for me! Found you on Pinterest, made for dinner, was super easy and excellent! Great, so glad you liked it! How long did you fry the chops on each side? I would say about 3-4 min per side as long as the pork chops are nice and thin. You want thin pork chops for schnitzel anyway. I just made this for hubby last night. Wow. Well received. Thank you. So glad you liked it Pamela, thanks for telling me!! So happy to hear you liked them. Thanks for letting me know. Happy Tuesday!! So glad you liked this!! Thanks for taking the time to tell me. Tara….. will make this for company with Spaetzle…. how best to make ahead and warm in oven????? This is something that really needs to be made a served right away to keep that delicious crispiness!! If you are making batches you can keep them warm in the oven though.